Through the thorough analysis of physical effort of people doing sports endurance both professionally and as amateurs, it can be noted that this type of exercise is characterised by many changes, where activities such as dynamic starts, quick changes of direction, sudden stops and acceleration, as well as overcoming longer distances in one go at different speeds, are extremely smoothly intertwined, altogether creating high-intensity effort. In such conditions, the anaerobic mechanisms of energy production are supplemented by aerobic transformations, which, overall, are the dominant source of energy produced by the body for the purpose of physical effort being made. For this reason, well-composed supplementation should include the use of high-quality preparations for endurance athletes, allowing to maintain a high efficiency of aerobic and anaerobic energy production. FEEL THE DIFFERENCE, TRUST THE HIGHEST QUALITY! These are undoubtedly the features of L-carnitine 4000 Power. Its components have been collected into synergistic groups which have a positive impact on the aerobic mechanisms of energy production, based on the use of free fatty acids derived from the body's stored adipose tissue. 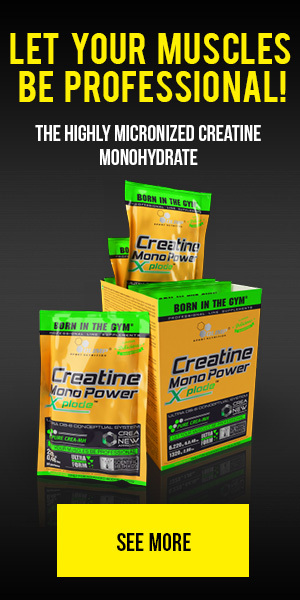 L-carnitine included in the product is of great importance. 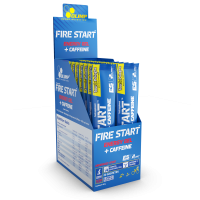 L-carnitine transports fatty acids and introduces them into burning processes taking place in the mitochondria - it allows the transfer of fatty acids through the inner mitochondrial membrane into the matrix of the energy centre of the cell, where these compounds are broken down. L-carnitine is therefore a compound necessary for the correct oxidation of fatty acids! It is also significant in supporting the continuation of physical effort and generating more work. Chart 1. The work generated during the 30-minute test "until exhaustion" conducted immediately after training with an intensity of 50% of VO2 max and 80% of VO2 max before (0) and after 12 and 24 weeks for the control group and the test group. Data adapted from: Wall BT, Stephens FB, Constantin-Teodosiu D, Marimuthu K, Macdonald IA, Greenhaff PL. Chronic oral ingestion of L-carnitine and carbohydrate increases muscle carnitine content and alters muscle fuel metabolism during exercise in humans. J Physiol 2011, 589: 963-973. Taurine also plays a significant role. A study carried out on a group of cyclists showed increased oxidation of fat during submaximal exercise after oral administration of taurine (Rutherford et al., 2010). In the next analysis, eleven men aged 18-20 were subjected to a test on a bicycle ergometer. Exercise was continued until exhaustion and refusal to continue by the tested person. The analysis of results showed that taurine may reduce DNA damage caused as a result of the effect of free radicals produced during exercise. Thanks to the ability of taurine to protect cells against oxidative stress, supplementation using this compound may lead to an increased training capacity (Zhang et al., 2004). 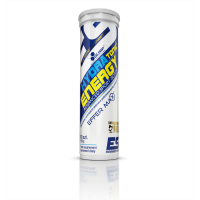 Taurine can noticeably improve endurance during exercise. According to the authors, taurine increases the capacity for endurance exercise and reduces the level of lactate - also during long distance runs (Imagawa et al., 2009). Studies show that a greater capacity for aerobic exercise may also occur following the use of L-arginine (Maxwell et al., 2001; Burtscher et al., 2005). Zinc is also an important component of L-carnitine 4000 Power. 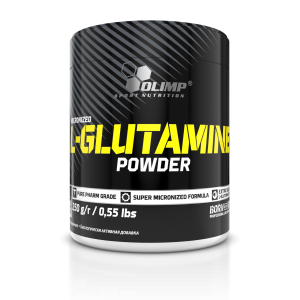 It ensures stable conditions of the intracellular environment and support mechanisms preventing the decrease of pH levels as a result of the large quantities of lactic acid generated during exercise. The acidic proton ions may reduce the formation of ATP and its transport to the vicinity of contractile fibres, thereby impairing the efficiency of the anaerobic mechanism of energy production. Zinc, which is included in L-carnitine 4000 Power, helps to maintain proper acid-base balance, thereby it can contribute to increasing the exercise capacity of athletes using it. - Help in the proper functioning of the nervous system and contribute to the reduction of tiredness and fatigue - vitamin B6. - Support the immune system - zinc and vitamin B6, which work synergistically. - Contribute to ensuring proper energy metabolism, protein and glycogen metabolism (vitamin B6) as well as other macronutrients and fatty acids, and help to ensure correct protein synthesis and carbohydrate metabolism (zinc). What else is known about the components of L-carnitine 4000 Power? Zinc - provided in the form of the highly absorbable Albion® zinc amino acid chelate. - protecting cells from oxidative stress. - helps to maintain proper glucose levels in the blood. L-carnitine 4000 Power A composition of precisely carefully selected ingredients that have been used for many years in elite products that increase endurance and aerobic capacity (VO2max), intended for the most demanding athletes, particularly athletes who play team sports in which high physical capacity is a determining factor in achieving victory. The product is intended for use prior to and during the most exhausting sporting events, as well as in periods of intense exercise (team camps, training camps). DISCOVER THE REAL CAPABILITIES OF YOUR BODY! Chart 2. The difference in exercise capacity understood as the maximum oxygen uptake (VO2max) in the group supplemented with L-arginine (ARG), and the placebo (PBO). Chart 3. The difference in exercise capacity understood as the maximum distance run until exhaustion (RD) in the group supplemented with L-arginine (ARG), and the placebo (PBO). Data adapted from: Maxwell et al., L-arginine enhances aerobic exercise capacity in association with augmented nitric oxide production. J Appl Physiol. 2001 Mar;90(3):933-8. 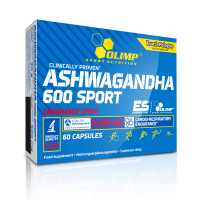 The product is recommended to physically active adults. Recommended use: 1 tablet once or twice a day. 1 tablet dissolve in 250 ml of water. On workout days take one before or before and after exercise. In the days without training, take 1 - 2 tablets a day between meals. Not suitable for children and young people. Do not exceed the recommended daily dose. Food supplements should not be used as a substitute for a varied and balanced diet. A varied and balanced diet and a healthy lifestyle are recommended.